Build a simple, yet stylish, medicine cabinet to add more storage to your bathroom! 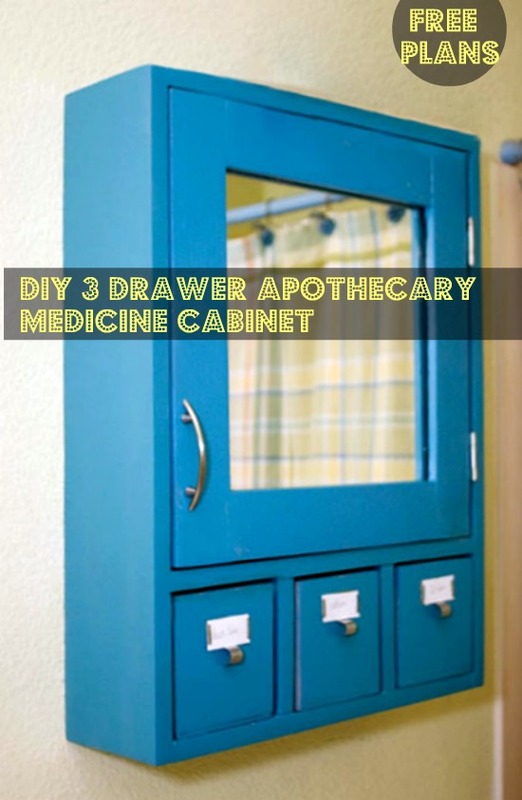 This medicine cabinet has 3 apothecary-styled drawers to help contain anything from q-tips to combs! 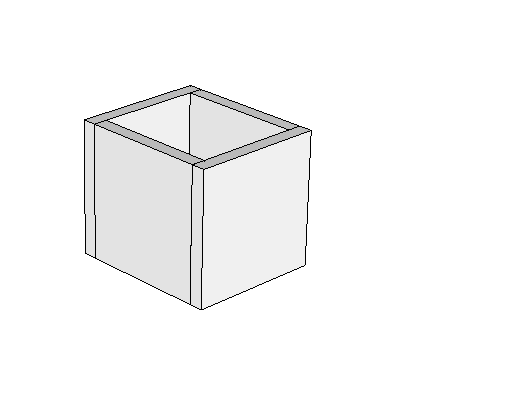 Build a box using your side pieces and your top and bottom pieces. Make sure that the top and bottom boards are on the inside of the side boards. 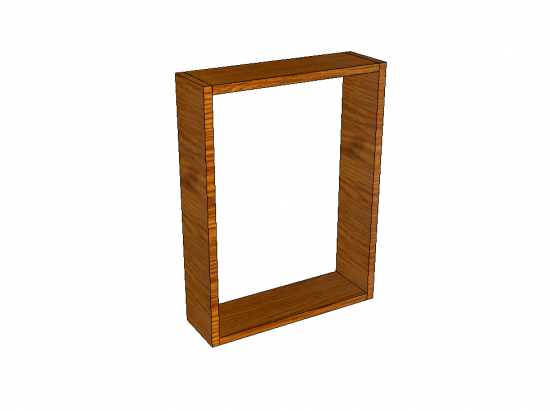 Measure 5″ from the bottom inside of the box, and screw your shelf in with 1 1/4″ pocket hole screws. Attach your support cleat to the back using 1 1/4″ pocket holes set for 3/4″ stock. It’s best to put your pocket holes at the back of the piece. 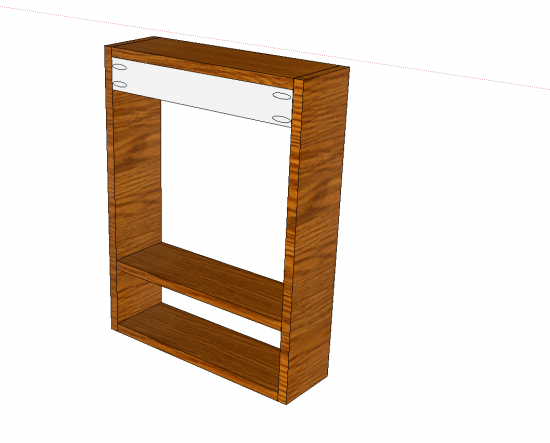 Add your drawer dividers. I found it easiest to just use glue and 1 1/4″ finish nails. 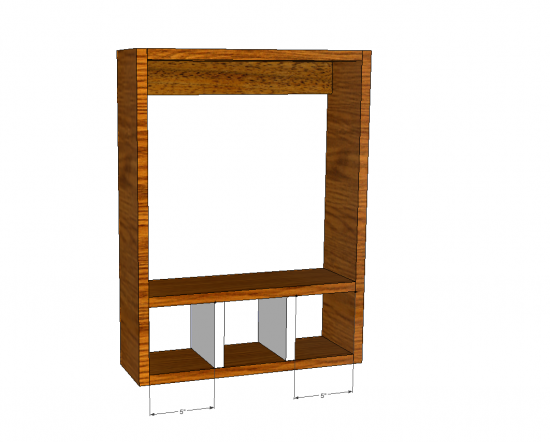 Otherwise, predrill through the middle shelf and bottom of the cabinet, and use 1 1/4″ screws and glue. You cannot use pocket holes for these. 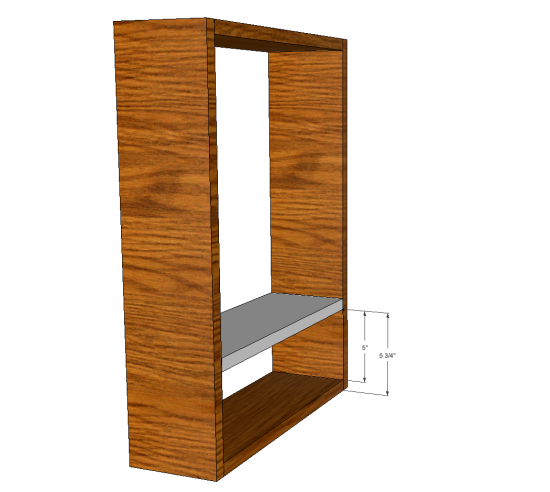 Figure out where you want your inside shelf. 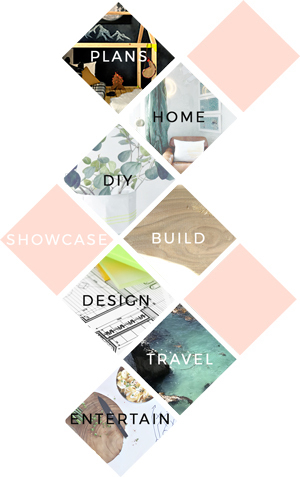 I preferred to have mine 5 1/2″ down so that I had an area for my smaller items, and one for my taller items. But this is entirely up to you, and what you plan to store! 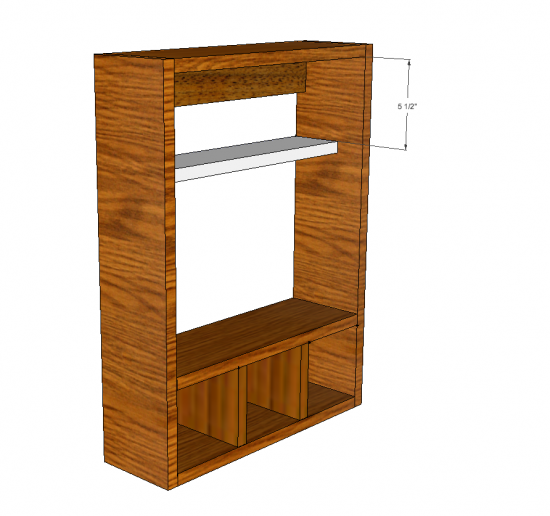 Attach shelf to the cabinet using 1 1/4″ pocket holes set for 3/4″ stock. 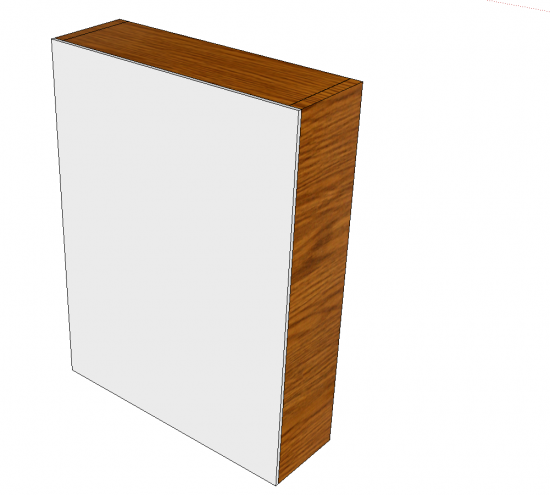 Build your drawers, make sure your 4 1/2″ boards are sandwiched between the 4 3/4″ boards. Use glue and 1 1/4″ finishing nails. Build your door as shown. 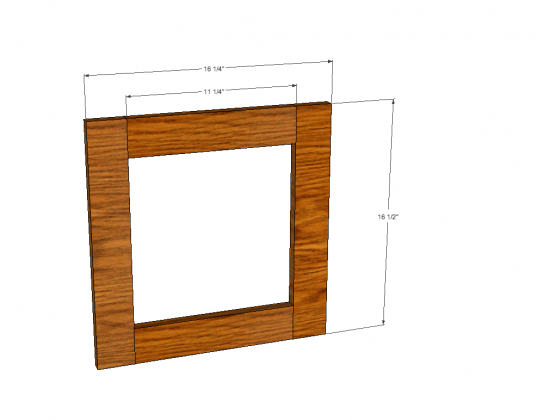 Use 1 1/4″ pocket holes set for 3/4″ stock. Attach the back, using glue and 1 1/4″ finish nails. Insert your mirror or glass into the door using mirror clips. If you plan on using wood, attach with only glue, and let dry. 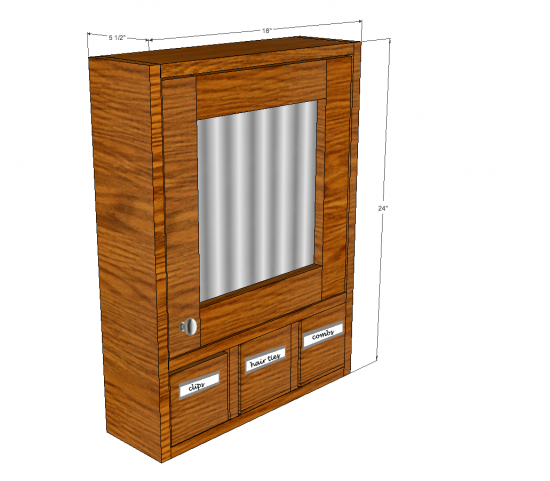 Attach the door with the hinges, add some hardware, and put your drawers in place. 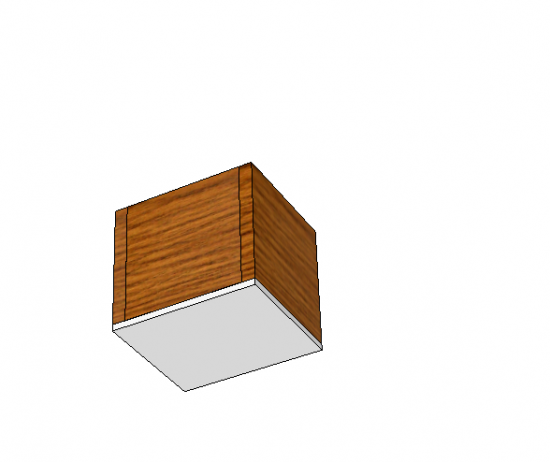 To hang, locate studs and screw through the support cleat into the studs using 2 – 3″ screws. If no studs are available, use the appropriate wall anchors.